I’m a smart woman, an obviously talented woman, there isn’t too much that I can’t figure out…well OK, perspective, dancing, reading instruction manuals, my singing voice (if you can call it that), and football. I can however still manage to draw, to follow Dan on the dance floor to a certain extent, granted I may bruise a few of his toes, read the instruction manual twenty times until it sinks in, manage to sing along to Carole King or Carly Simon when no one is listening, and identify knee injuries when football players get knocked down (six knee surgeries, what can I say, I know a torn ACL when I see it). There is one thing I just can’t get a handle on. I’m ashamed to say its fourth grade math. My friend Gabby is nine, she is a very smart little girl. This morning she was stumped on two problems from last night’s homework and asked for help. “Sure”, I said, confident that I could help. Then I looked at it. Oh no, fractions! I have helped Gabby with homework before, it is always math. It usually goes something like this. I don’t even know why she’s asks me. This morning was no different. I saw fractions, visions of Sister Aloysius popped in my head, and I panicked. I grabbed my phone and called in my mathematical “go to guy”, Dan. I explained my dilemma. After he finished laughing he told me how to do the math. It’s pathetic, and embarrassing when you are my age and can’t help a nine-year old with their homework. It makes no sense to me at all. I don’t understand how an intelligent adult can’t do fourth grade math. I am sure however that there are plenty of math geniuses out there who can only draw stick figures. At least that’s what I keep telling myself. 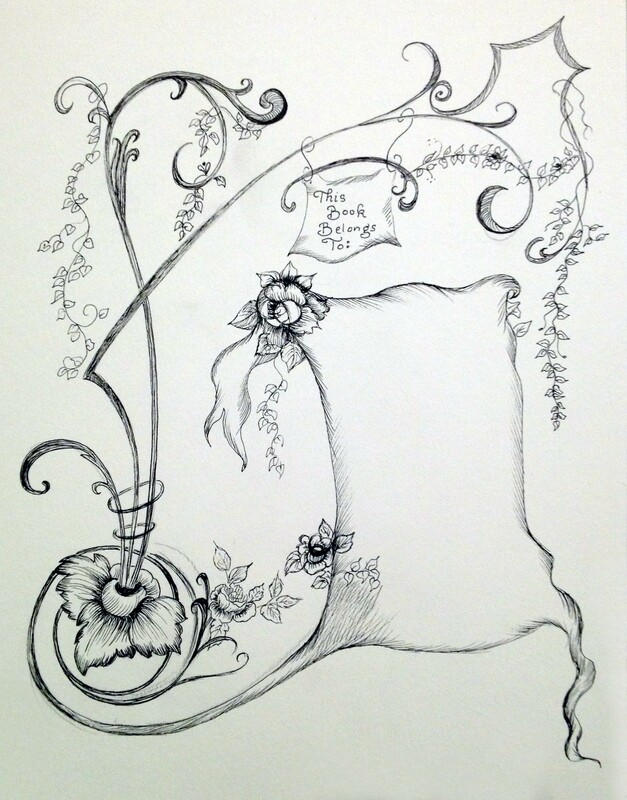 This entry was posted in art, Art and my life, Drawing, Fine Art, Friends, Humor, Pen and Ink, Uncategorized, Words, Writing and tagged art, Doodle, drawing, Family, Fine art, Friendship, humor, illustration, life, loving words, Pen and ink, projects, Seuss, thoughts, Visual arts, writing. Bookmark the permalink.